April showers will bring June mosquitoes. We hate to say it, but the rainy month just past will boomerang in the warmer times ahead. 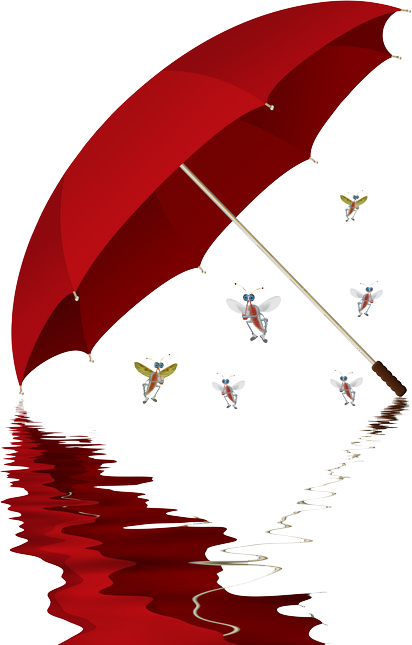 Soil moisture levels play a big role in mosquito populations. After enduring the deluge that was April, prepare yourself for a deluge of winged blood-suckers in June. We all might have gotten spoiled last year. The drought conditions in summer 2012 tamped down mosquito numbers. Mosquitoes don’t hatch without water. The ones that were around, though, left plenty of eggs. You might recall that 2011 was a fierce summer for mosquitoes. They laid LOTS of eggs. Female mosquitoes can lay 300 eggs in two weeks. Cold and frost don’t affect them. The eggs can last four to five years. They just lie in wait for the right conditions, ready to unleash their singing, stinging mayhem on the world. Several years’ worth of unhatched eggs. Lots of early-season rain. Get the picture? The 2013 hatch will begin once temperatures reach the 70s consistently. If rain accompanies the warmer days, prepare yourself for the start of what could be a very long summer, at least in terms of mosquito annoyance. You have time to prepare. Mosquitoes often show up in large numbers around Memorial Day - which, perhaps not coincidentally, is when many people head outside. The main hatch usually occurs right before the Fourth of July. By that time, though, you might not notice the difference. Chances are, you’ll be swatting away this year from the moment the mercury heads north. As mentioned, you still have time to prepare. When you do, you know who to call – your friends at The Mosquito Guy. You might need us more than ever this year.